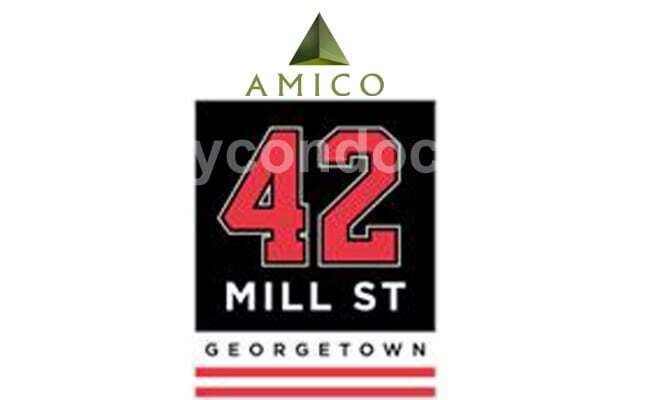 42 Mill Street Condos is a new condo development at 42 Mill Street, Georgetown ON located right at Mill Street and Highway 7. This development has luxurious condo units with retail space at ground level and office space. It is proposed to have parking spaces below-ground level. Based in the Georgetown neighbourhood, As Georgetown’s Memorial Arena skates into history, a new landmark address is rising in its place. Located at Mill Street and Highway 7, 42 Mill St. offers luxury and value, steps from the heart of Georgetown. Additional features include a party room with kitchen, dining room, terrace, yoga studio, bike room, billiards room, fitness centre and WiFi Lounge. This will also include two separate party rooms where residents can entertain their guests. The party room will have a kitchen, multiple seating areas and a central fireplace feature. The dining area in the party room will have bbq barbecue, dining, lounging terrace with spectacular city view. Cedarvale Park and Dominion Gardens Park are some of the parks close to the 42 Mill Street Condos in Georgetown.